DiSTI s the leading provider of both turn-key and customized GUI software for embedded, desktop, mobile, and safety critical applications. DiSTI software products and professional services have pioneered the advancement of GUIs and virtual training for fortune 500 companies, military organizations, and commercial clientele from around the world. DiSTI software and solutions are highly adaptable and can be implemented into virtually any industry with a need for GUIs, including automotive, aerospace, energy, medical, maritime, and transportation environments. Our UI software solutions help developers and designers alike with workflow efficiency while providing best in class quality, value, flexibility, and performance. We partner with clients to meet demanding delivery deadlines, budget constraints, and stringent application requirements, all while providing highly customizable GUIs that allow you to realize your designer’s vision without compromise. With over 20 years of expertise in User Interfaces, The DiSTI Corporation is located in Orlando, Florida with partners throughout the world to support our clientele. GL Studio is the first User Interface tool that offers the best of both worlds while providing superior performance, safety, or reliability. The GL Studio designer enhances collaboration between the two user interface development roles – the UI designer and the software programmer. For UI designers, GL Studio is quick and easy to use. For programmers, GL Studio is flexible and accessible. GL Studio enables the real-time creation of interactive 2D and 3D user interface content through a WYSIWYG designer, eliminating the need to write cumbersome low-level graphical code. Create geometry using intuitive tools for drawing, grouping, ordering, and texturing. Import from other industry standard graphics tools such as 3D Studio Max and Adobe PhotoShop. Publish cross-platform desktop and embedded applications executing on the highest performing runtime UI engine on the market. 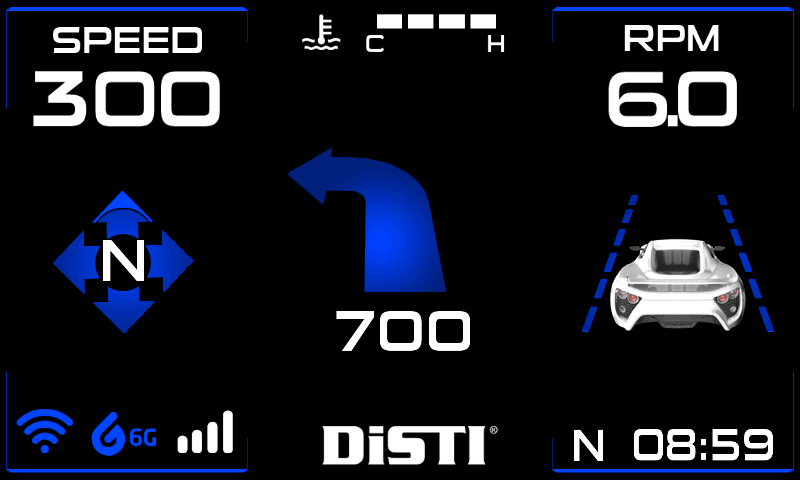 When the installation ends, power-cycle the board and wait untill you see DiSTI GL Studio Demo, illustrating the integration of 2D and 3D content, animations, and data representation in a Heads Up Display. 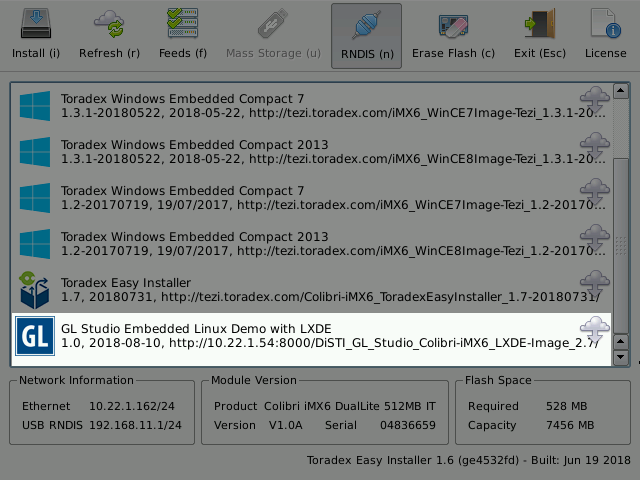 For more information about how to create your own User Interface using GL Studio head over to the DiSTI GL Studio documentation and request the evaluation version now. DiSTI GL Studio is a commercial software. Request the evaluation version now.